It’s been two years since we last saw the characters of ‘Think Like A Man‘, which was based off of Steve Harvey’s book ‘Act Like A Lady, Think Like A Man‘. The first film followed a group of guys and girls falling in love with one another with all of the ups and downs of a relationship. It was funny, charming, and worth the time. Director Tim Story is back in the director’s chair again for this second outing. Statistically and historically, if a film on a modest budget does well, more than likely there will be a sequel. 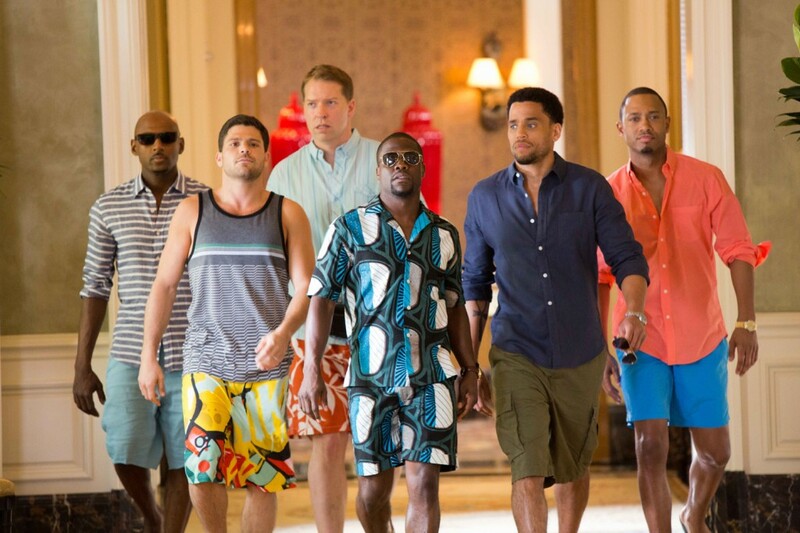 ‘Think Like A Man‘ was made for under $12 million and ended up grossing almost $100 million at the box office. It seemed like it was the right decision to go ahead with the sequel, but in order to have a sequel, you need to have a thought out story, which unfortunately for this sequel, didn’t have. It seemed like ‘Think Like A Man Too‘ was just thrown together over a drunken night and a reason for everyone to get together in Las Vegas to have a fun few weeks. I was so disappointed in this sequel, because I enjoyed the first one so much, but this this sequel was more about Kevin Hart doing his slap-stick routine for 90-minutes than showing an entertaining story. The entire gang is back in again, this time all arriving in Las Vegas for the wedding of Michael (Terrence Jenkins) and Candace (Regina Hall). But the night before the wedding, the guys and girls split off and go all out for their respective bachelor/bachelorette parties, which plays out more like a ‘Hangover‘ film throughout, complete with fights, strip clubs, and jail. 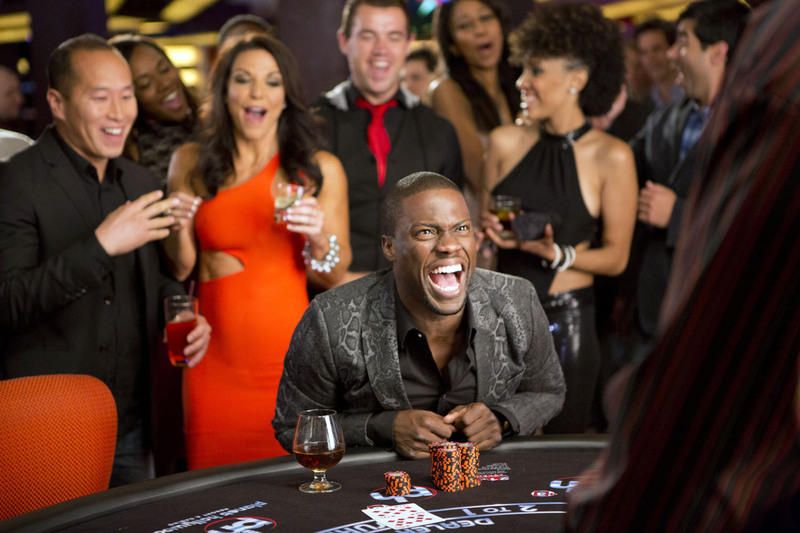 You’d think that Jenkins would have a big role here, since this is his wedding in the film, but he receives the least amount of screen time, as I said above, its the Kevin Hart show with him dancing in his underwear, yelling at everyone, and poking fun at his height for the millionth time. Story also decided to put an actual music video in the middle of the film, where the girls sing ‘Poison‘ by Bell Biv Devoe at their bachelorette party, complete with the music video credits and logo in the bottom left hand corner of the screen. There was just no need other than to waste time. But that’s what the entire film seemed like, a big waste of time. Sure it was fun to see everyone on screen playing off one another and enjoying themselves, and everyone turns in fun and great performances, but when Story tries to create dramatic tension, it goes nowhere and rushes by to fast as to get to the next scene with Hart making a fool of himself. And of course, just like the first film, we had to check in with every couple for a nice pretty pink bow to wrap up everything nicely. It was all too forced, which made it unfunny. I really wanted to like this sequel, but ‘Think Like A Man Too‘ fell off the cliff and lost the big bet. And yes, Adam Brody is in this film, but he is only in it for maybe less than two minutes and has one or two lines of dialogue. Why give him top billing? This entry was posted on Thursday, June 19th, 2014 at 10:20 pm	and is filed under Film, News. You can follow any responses to this entry through the RSS 2.0 feed. You can skip to the end and leave a response. Pinging is currently not allowed. « Quentin Tarantino Is Giving Us a ‘Django Unchained/Zorro’ Comic Book! !